Bandung has always been a city that have something interest in it. It has many beautiful girls and many beautiful parks. Bandung has always been a city that becomes a destination of all people in Indonesia. Moreover, it always have an events that make people want to attend, for example Car Free Day and Car Free Night. Both of them are held in a specific day by the government to attract the people to walk more drive less. Therefore, the event’s names begin with ‘Car Free’. 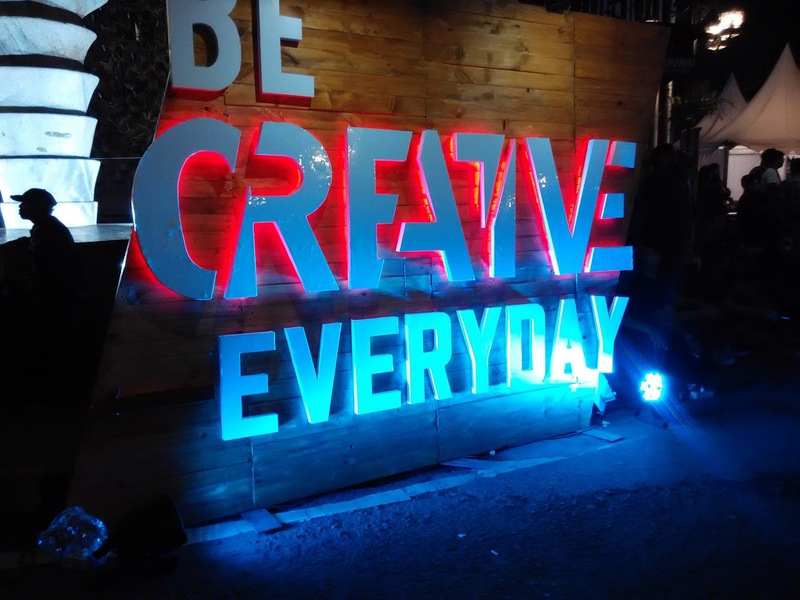 In this time, I will tell you about the Car Free Night in Bandung. It was my first experience and gave me the best first impression. 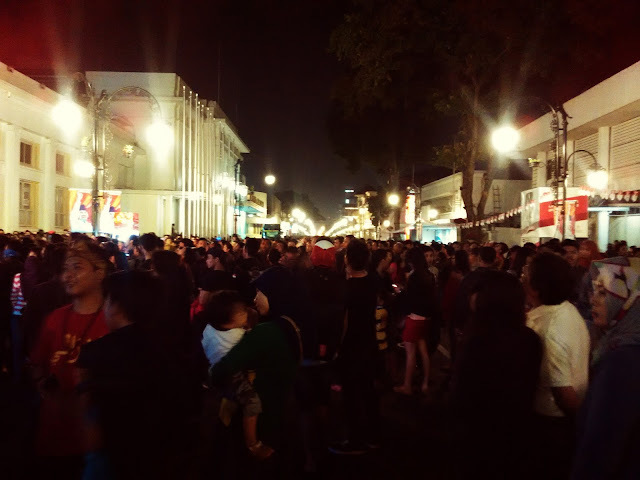 You must try to go to Car Free Night, because it gives you many views of an attractive group of people, various live music and delicious local foods. Car Free Night begins from 7 pm on Saturday. It is held at Jl. Asia Afrika , Jl. Cikapundung until Jl. Merdeka. Motorcycles and Cars are not allowed to enter those areas. Therefore, so many people walk to see the views of the city. When I was there, I was hypnotized by a group of people skating on the road. They were so skilled. I did not get boring just to see them skating. After that, I saw a group of people do cosplay. They wore costumes of action or cartoon figure, such as sponge bob, marsha, power ranger, and transformer. They all so cool. I took a photo with Sponge Bob and he was really nice. Not only a skater or a cosplay that were there, but also people who play instruments and sing were there. It is like hang out with friends at the café which has a live music in it. There are people who sing a mellow and energized song in Car Free Night. An acoustic and orchestra also appear in this event. Therefore, every time we step to another spot, there will be another live music that we hear. Moreover, if we are starving, we don’t have to worry because Car Free Night has a special place for us to eat. It was located at Jl Cikapundung. Many local foods are there, such as Nasi Goreng, Pecel Lele, Cakue, Batagor, Putu and many more. However, I suggest you to bring money in cash more because the food is rather expensive than usual. The important thing is if you get starving, just eat. Do not care of your money, just fulfill you hunger.